Elmont, NY - The Fifth Squad reports the arrest of an Elmont man for an incident that occurred in Elmont. According to detectives, police were made aware that a person had discharged a machine gun in the rear of a residence on Clay Street. After conducting an investigation, detectives found the defendant, Robert Hoenig, 49, to be in possession of a machine gun and five high power large capacity ammunition feeding devices. The investigation also revealed the defendant, Hoenig, did fire the weapon in the rear of this location. Investigation is ongoing. Defendant Hoenig was taken into custody without incident and is charged with 5 counts of Criminal Possession of a Weapon Feeding Device 3rd Degree, Criminal Possession of a Weapon 3rd Degree, and Reckless Endangerment 2nd Degree. 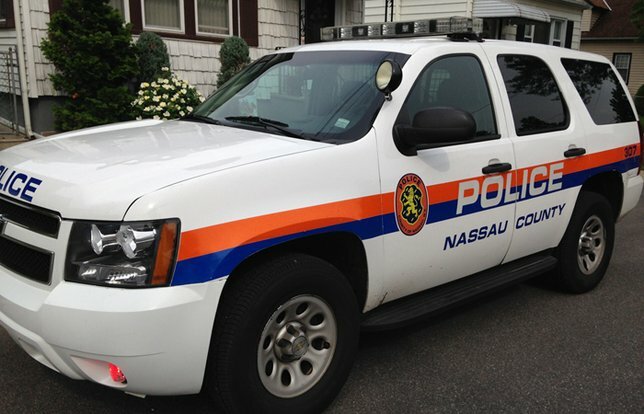 He was arraigned at First District Court, Hempstead. Subject: LongIsland.com - Your Name sent you Article details of "Elmont Man Accused of Discharging Machine Gun in Backyard of Residence, SCPD Rpoert"